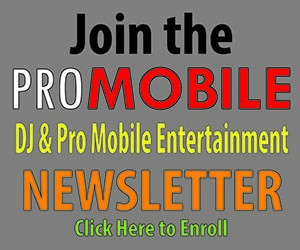 We hope you’ll join the ProMobileDJ.com staff on Tues., Aug. 13 at Showboat’s “House of Blues” for the Promo Only Artists Showcase sponsored by Chauvet DJ. This year’s lineup of featured performers includes: Luciana, Pretty Poison, Ayah Marar, Cole Plante, Candi Lynn, Kat Dahlia, Brenda K. Starr, DJ 2nd Nature, Time Flies and KAPJN. Admission is free for DJ Expo badge holders. Promo Only OnLine (POOL) provides daily digital delivery of the newest music and HD music video direct to your computer.